It was close to everything and an authentic experience. Location is good & apartment is clean.. Estefania is nice. Comfortable aptm for short stay,host was lovely to deal with at all time. Everything was perfect! Estefania was so kind and attentive. The place is perfect to stay in Granada. Perfect location and food facilities. La localizacion. Magnifica terraza y vistas. Barrio tranquilo. Me encantó el trato que te da la anfitriona, tuvo que traernos un calefactor y algo tan simple como una escoba y la misma mañana ya lo teníamos. Además la casa suuuuuuper limpia! La ubicación puede ser tanto positiva como negativa. Negativa porque hay cuestas para subir y positiva las vistas desde la terraza. Estaba muy limpio y los anfitriones muy amables. Todo perfecto, la localización y las vistas a la Alhambra son increibles. La casa es muy coqueta, perfecta para 3-4 personas y las terrazas son una maravilla. Un sitio para volver. Décoration sobre de très bon goût. Apparement agréable, de la lumière. Très bonne situation géographique pour se promener dans ce quartier esprit village. Le must: dîner sur la terrasse commune avec vue superbe vue sur l'alhambra!! El lugar era muy acogedor y cómodo. Limpio y bonito. Estábamos a dos calles de Calderería y toda su maravillosa gastronomía y tiendas. La cocina muy completa aunque no comprendimos bien el frigorífico y se nos congeló la comida jajaja, pero el sitio genial. El baño amplio. El enclave del apartamento para nosotros fue ideal. Al lado de la Mezquita y en el centro del Albaycin. Unas vistas impresionantes en la terraza. Para repetir. Lock in a great price for Casa Quijada – rated 8.4 by recent guests! 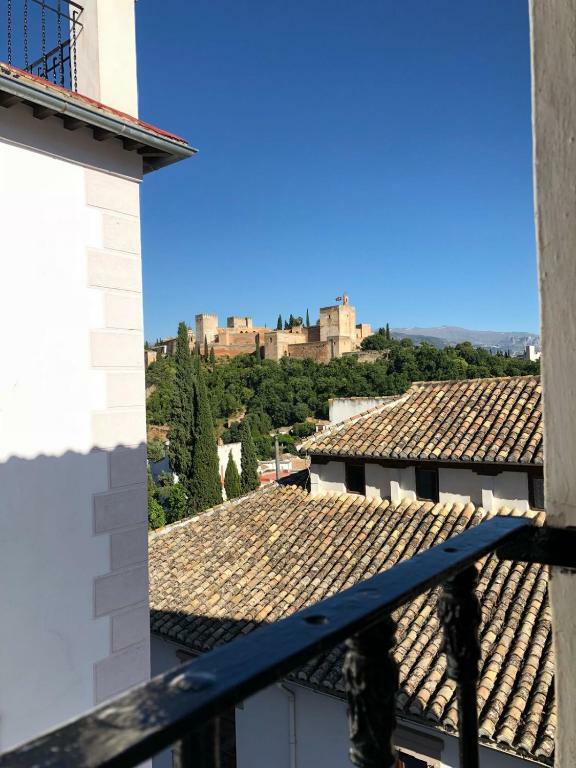 Located 1,300 feet from Granada Cathedral in Granada, this apartment features a shared terrace. Free WiFi is offered throughout the property. Featuring a balcony, this apartment has 2 bedrooms and one bathroom with a shower. There is a dining area and a kitchen equipped with a microwave and toaster. Towels and bed linen are provided. 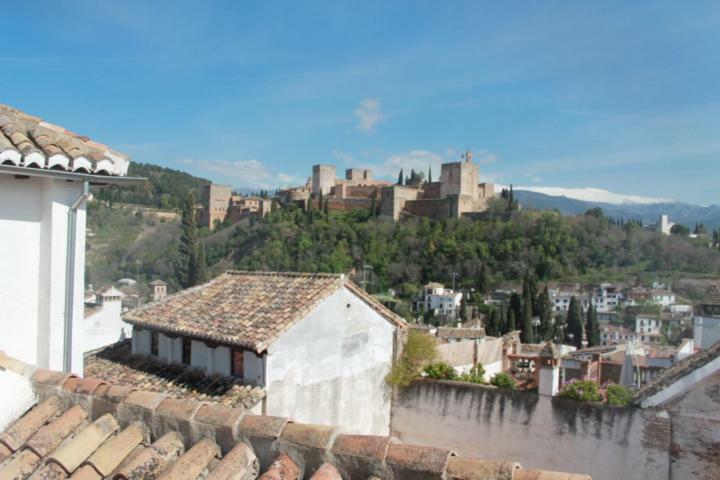 Alhambra and Generalife are 2,650 feet from Casa Quijada, while Hammam Arab Baths is 650 feet from the property. Federico Garcia Lorca Granada-Jaen Airport is 9.9 mi away. When would you like to stay at Casa Quijada? Featuring a balcony, this apartment has 2 bedrooms and one bathroom with a shower. There is a dining area and a kitchen equipped with a microwave and toaster. House Rules Casa Quijada takes special requests – add in the next step! Please inform Casa Quijada of your expected arrival time in advance. You can use the Special Requests box when booking, or contact the property directly using the contact details in your confirmation. Nothing really specific. Probably a bit hard walking for older people to get to, regarding the location as I was traveling with my parents and they found a bit hard. The views from the window and the terrace. I think it’s time for a new bed. We had a big car and the streets are very narrow. The parking is bad.. not advisible for diabled person... the apartment need atleast 1 electric fan to freezen up for that hotty night.